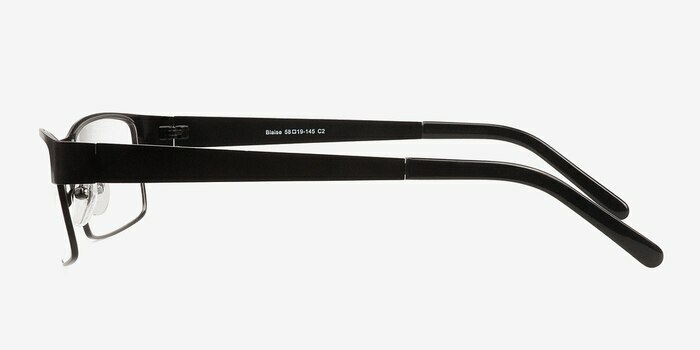 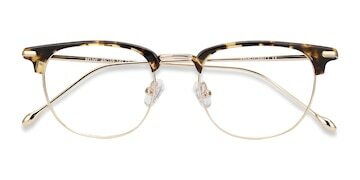 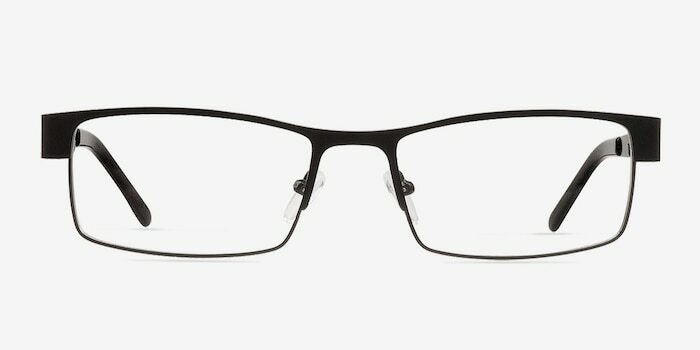 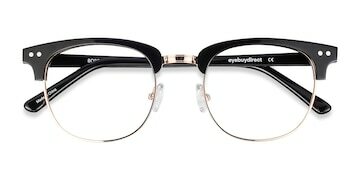 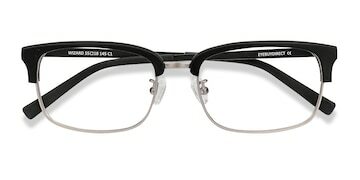 These black eyeglasses are totally sleek. 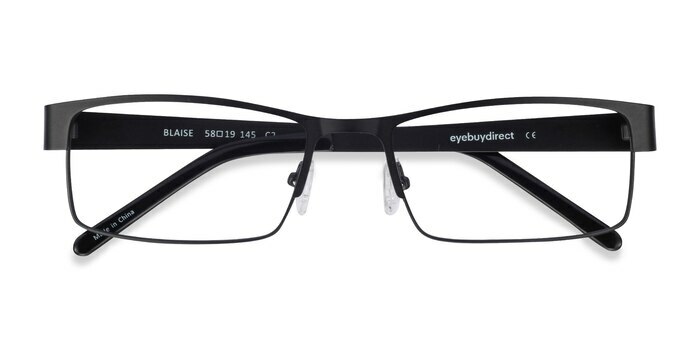 This rectangular full-rimmed frame comes in a matte black metal finish. 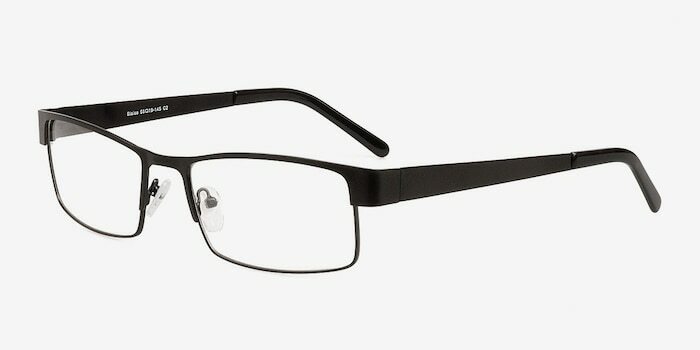 The same finish extends to the bold unembellished temples and end in plastic arm tips. 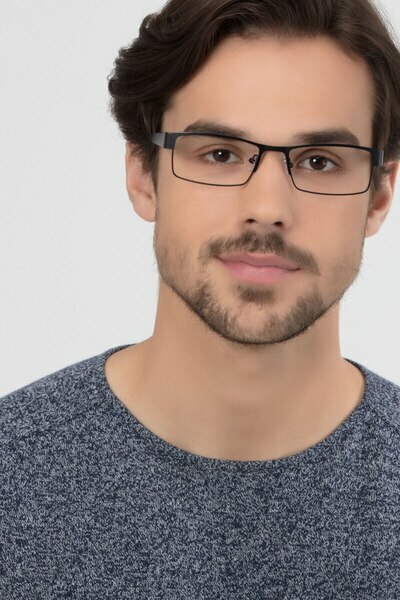 Things are kept simple with adjustable nose pads for a comfortable fit.